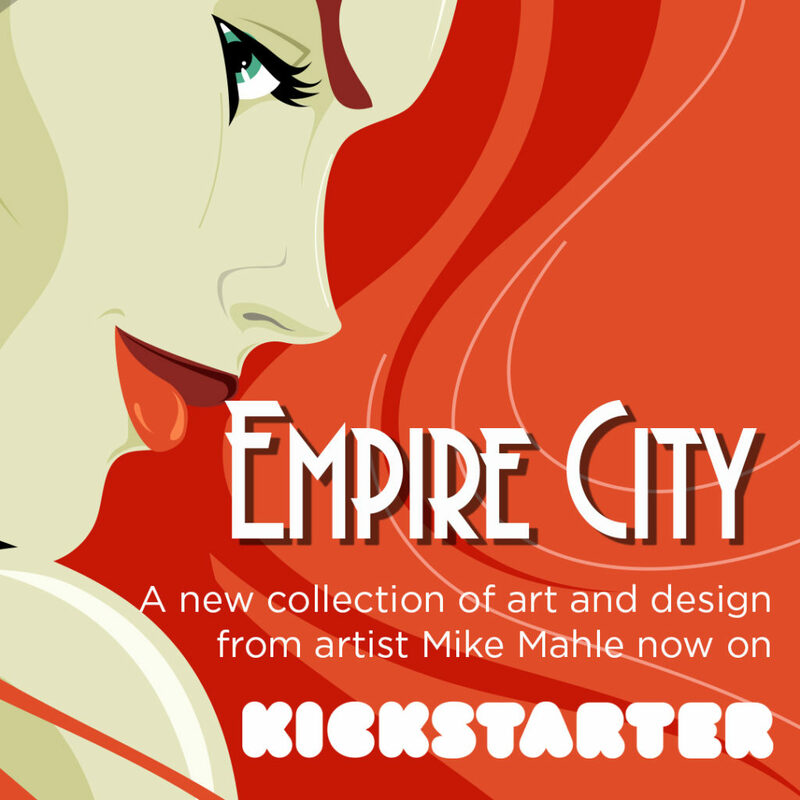 Mike has just launched a new Kickstarter Campaign to launch this ambitious project. 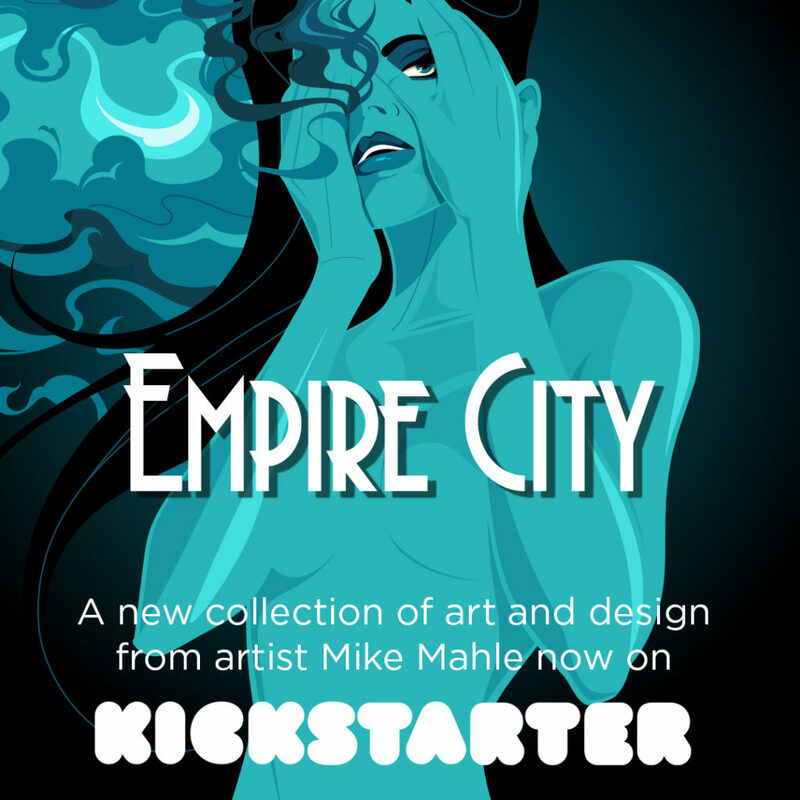 Here is some info and images from Mike to entice you to enter the seductive world of “Empire City.” We love what we’ve seen so far and can’t wait for our copy to show up. 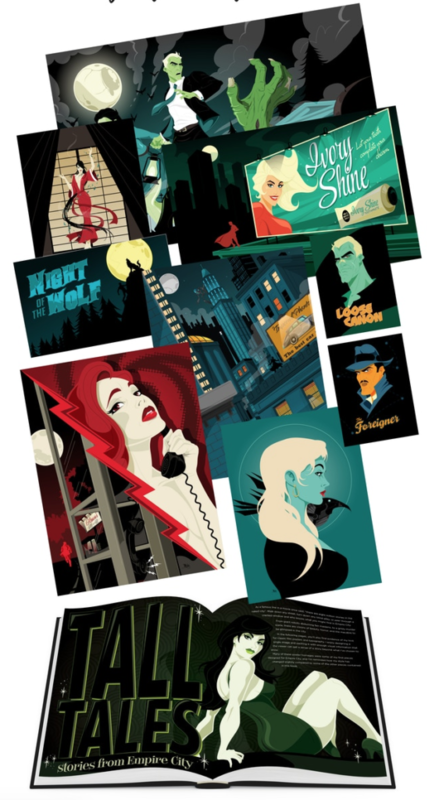 Empire City: A collection of art and design, is a 8.5″ x 11″, 112 page hardcover collection of illustration, graphic design, and typography all centered about a fictional noir-city. This is not a narrative book, I always like to tell a story with my art and almost every piece in here tells a unique story. I’ve always felt that it’s the artist’s job to provide the information, to tell the story, but it’s always up to the viewer to decode it for themselves. 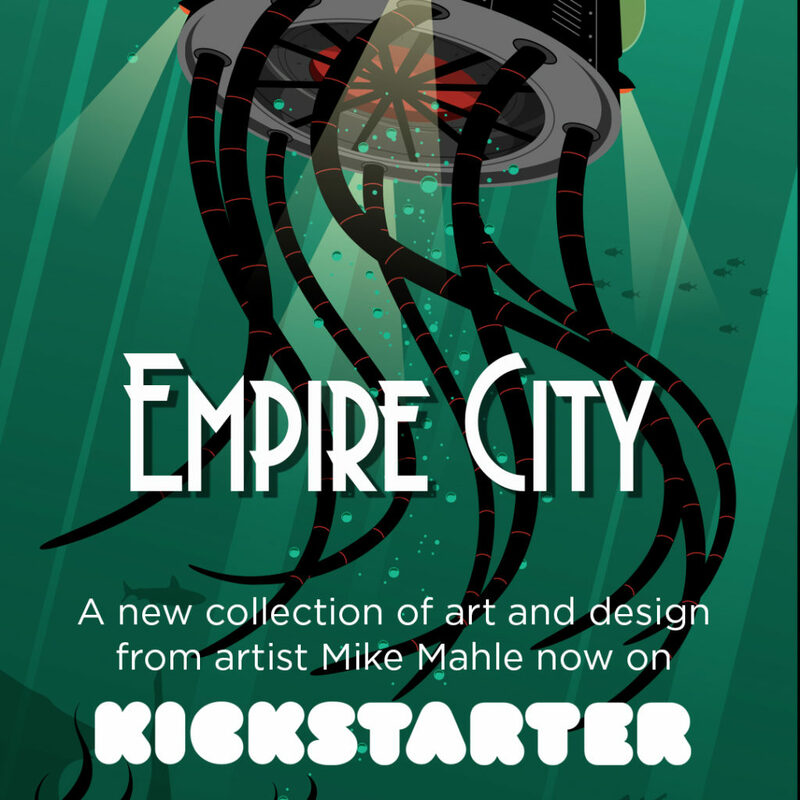 As with all Kickstarter campaigns, Mike’s is full of incentives. 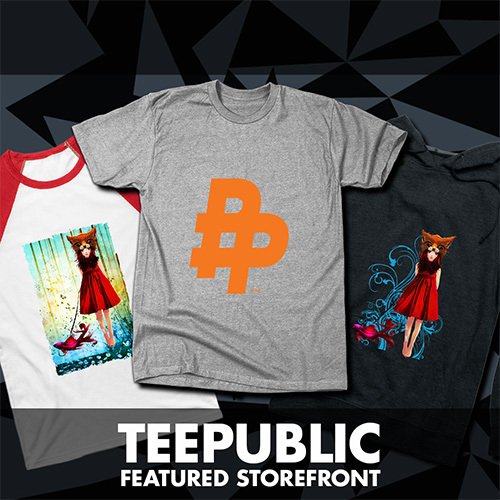 There are a plethora of prints in various sizes and formats ranging from 8.5″ x 11″ up to 18″ x 24.” Aside from the prints, higher tier rewards include remarked editions of the book, die-cut stickers and an enamel lapel pin.